from our CUSTOMERS near TORRANCE! A HUGE THANK YOU TO LINDA MINTZ AND VICTOR NAVARRO!!! Both Linda and Victor made leasing a 2018 Jeep Grand Cherokee Altitude so effortless! Everyone at the dealership was very personalable and professional. Linda does such a great job in building rapport with her clients. She went above and beyond for this lease. Attentive to all my emails, stayed late to finish the transaction. She stayed until 10PM!! 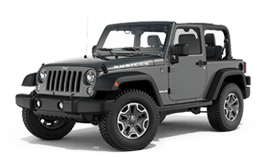 Victor made the signing so easy compared to other dealerships I've worked with in the past. If you're looking to lease or purchase a new vehicle, I would HIGHLY HIGHLY RECOMMEND coming to Motor Village LA and come see Linda Mintz and Victor Navarro! I couldn't be more happier!! Thank you!! Walking out with dream car so excited!!! Very pleased with the service Jeramy provided us so very helpful and patient with our concerns. Just leased my second small SUV from here. Both times have been a great experience. 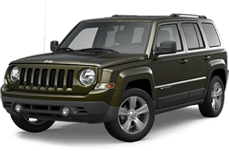 First came in back in 2015 and got an excellent deal on a Jeep Patriot. Came in a few days ago as my lease was expiring, and my sales guy, Harry Wang, was really easy to work with and helped me find a 2018 Compass at a price I could afford. Loving my new ride! Thanks to Harry for the great customer service and follow-up!